The embossed matching cap and base in aged brass add length and symmetry to the structure, and provide an interesting counterpoint to the sphere of coloured glass. 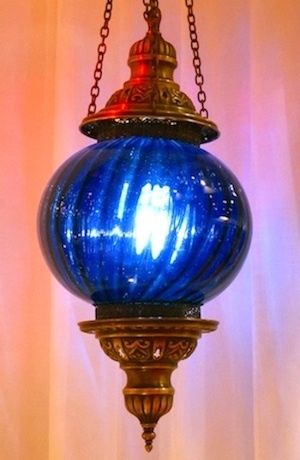 This lantern is designed for easy wiring and is available in either blue or amber glass. An elongated light bulb completes the look. 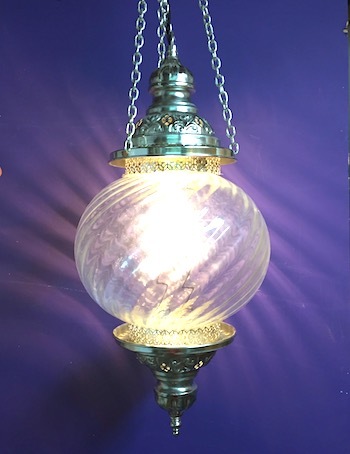 Here the cap, base and chains are bright silver metal which makes a pleasing combination with the glass sphere. A choice of colours of glass is available: blue, green, amber and red are all richly coloured, and lilac glass is in a lighter shade. Clear glass, as shown is also an option. 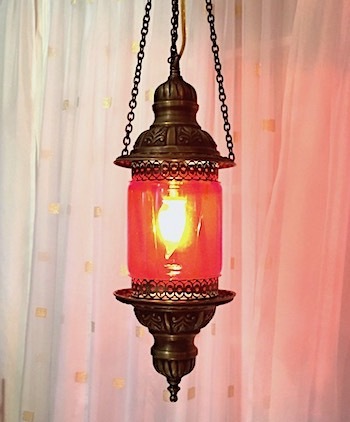 This lantern is easy to wire. 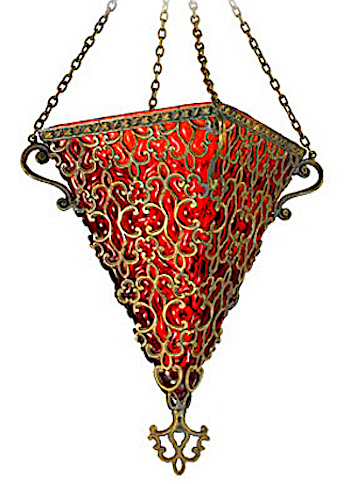 The same size and shape as the lamp above, but all the metal parts are antiqued brass. as in the silver version. Reminiscent of the sumptuous robes, richly embroidered with gold thread, as worn by the Ottoman emperors of ages past. 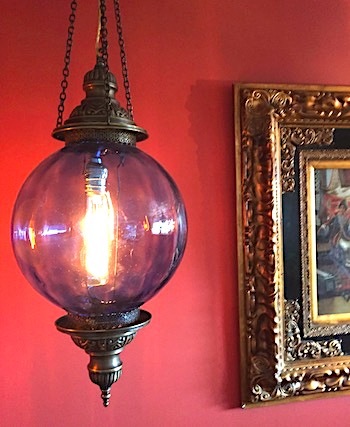 This lamp can be simply electrified, or candlelit. matching base in antiqued brass. Colours available red, blue, green, lilac.